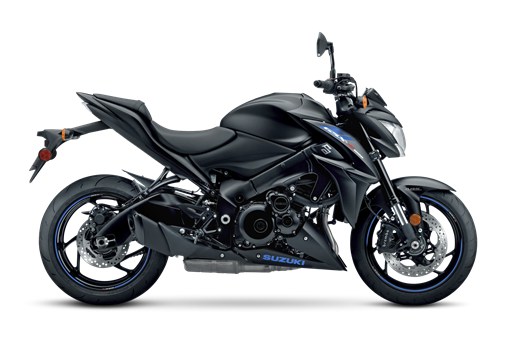 The chassis also benefits from GSX-R influence through the fully adjustable, inverted KYB fork and easy-to-adjust rear shock. Stopping performance is stellar via the dual, ABS-equipped* radial-mounted, four-piston front calipers and 310mm floating rotors. The wide Renthal Fatbar handlebar provides a comfortable reach and the proper leverage to hustle the GSX-S1000Z through the corners. Top that chassis performance off with aggressive styling coated with Metallic Matte Black paint and a fully blacked out engine and chassis treatment, you have a naked sportbike ready to attack the road as it turns heads on the street.